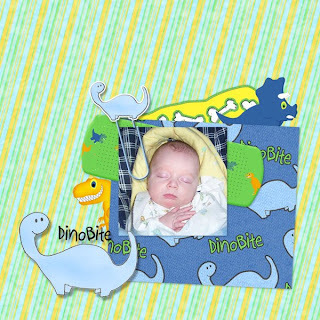 I found a pic of Patrick wearing Dino PJs and thought of RileyCreations collab kit with Designs by Ashlee Dino Mite. Here are the LOs I did. 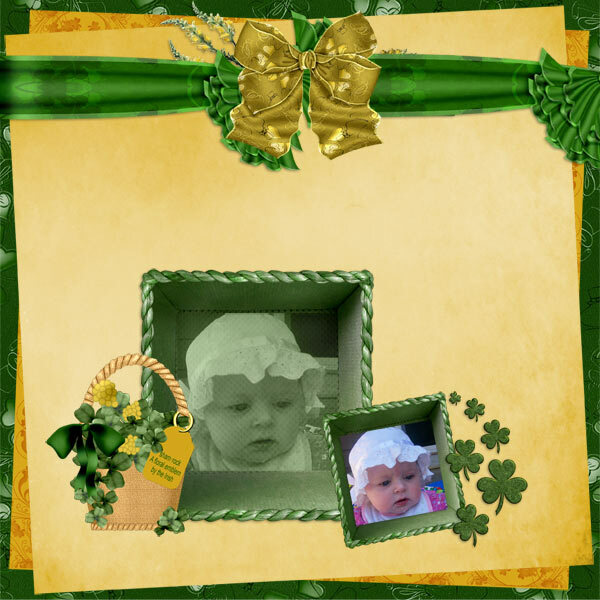 I used Puddicat Creations kit My Lucky Irish Fairy to make these pages. Its full of wonderful irish elements and Papers! You can find it here. I've been posting alot of scrap lately and thought I'd post about life for a minute. Lately Patrick and Riley have been playing good together, She's starting to roll play better or maybe she's just following Patrick's intructions better. Anyway its been nice to see. The other day I was so sick and Pat (DH) was still away on his trip so my wonderful parents took the kids so that I could rest (Thank you both so much!) Anyway my mom said the two of them were playing and Riley fell, she saw Patrick go over to her and help her up and and gave her a hug. A little while later Patrick brought Riley upstairs holding her hand and told Grandma "You might want to put a band aid on Riley" and showed her Riley had scrap some of the skin off her hand. 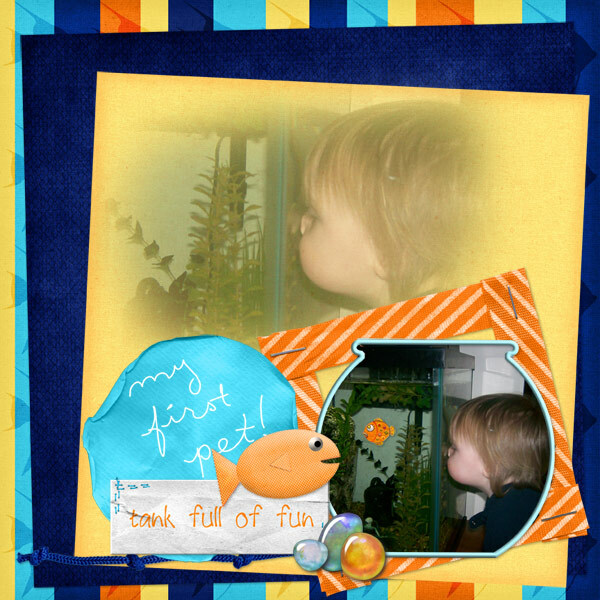 I used Scrapping All The Way's new kit My New Pet Fish you can find it here at Scrapper's Secret or here at Kreative Kreations. 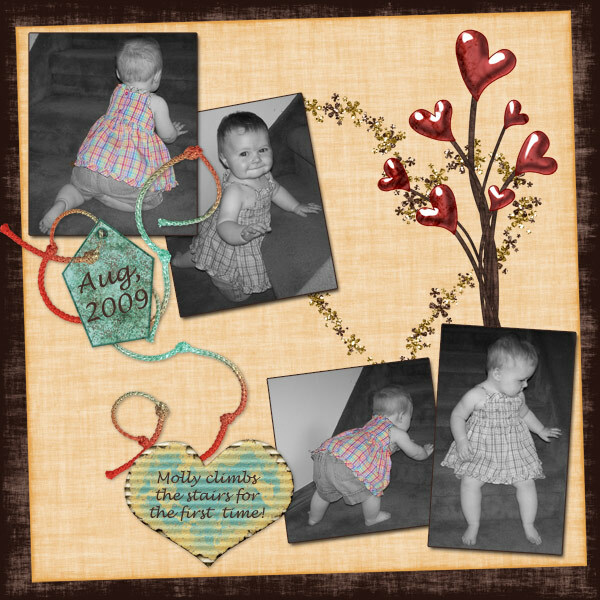 These next two pages I made with Riley Creations kit Color my world kit. 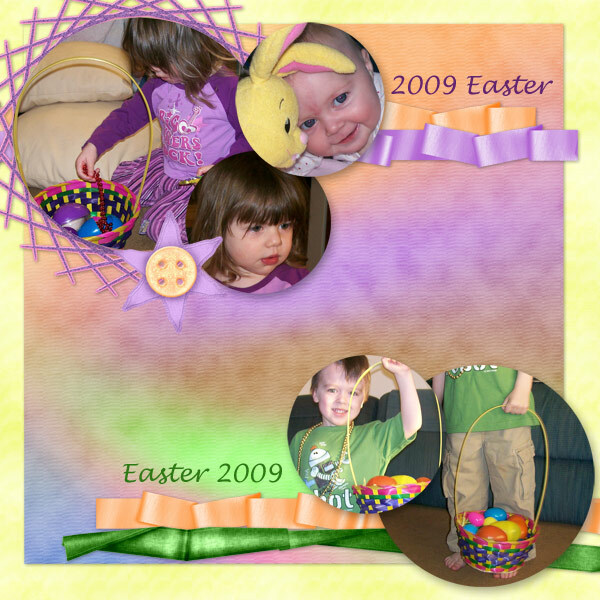 The first is long over due page from last years Easter. Patrick was a pro having been thru a couple Easter egg hunts in his life, this was Riley's 2nd easter and really the first Easter egg hunt she understood so we had a great morning. Little Molly sat in her bouncey chair and smiled and laughed at her siblings. The second page is the free quick page I made, enjoy! 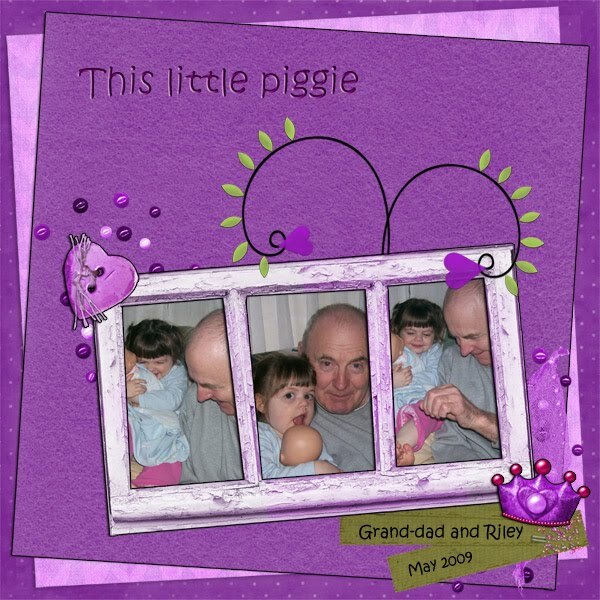 I've been working with Riley Creations kit Not your everyday Romance you can see it here at Digi Scrapbook Mania. 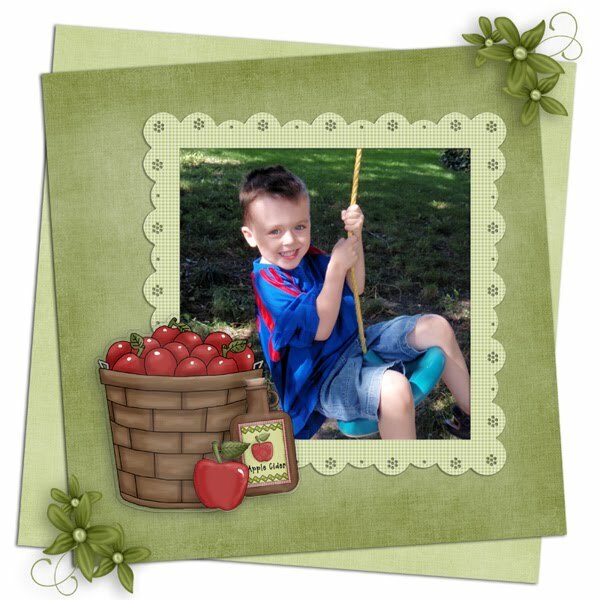 The first on is picture's that Pat took last spring under the apple trees. The second on is capturing Molly's first time climbing the stairs. Love is in the air everywhere and we want to show you just how much we love and appreciate you with a HUGE SALE. This weekend we have 50% off store wide *excluding designer services and bundles. 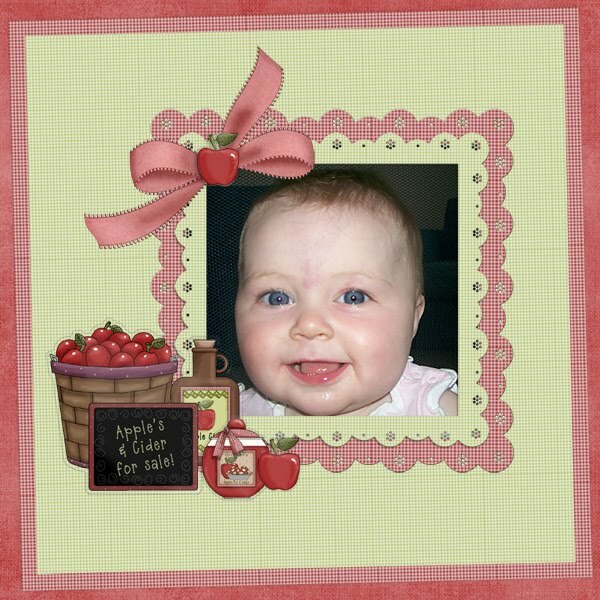 Drop on by and buy those scrapbook designs you have had your eye on before the sale ends. 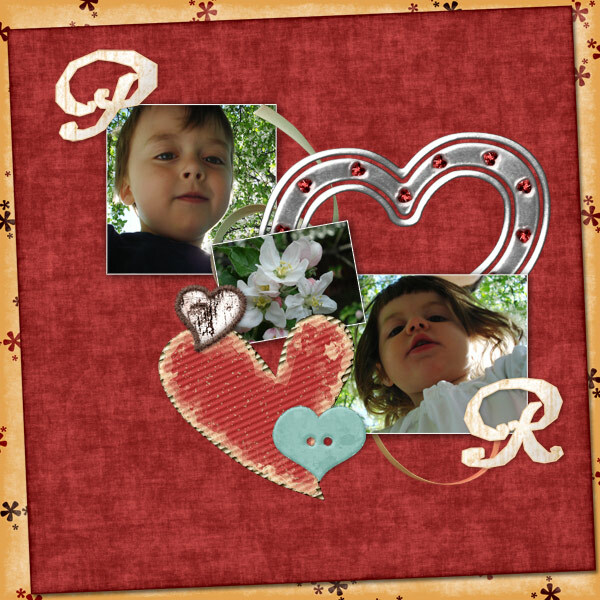 Oh and look we have a freebie for you too, thanks to Lizz Gasway Designs our featured designer this month. Want more freebies? Hop on over to our team Blog stop and collect a quick page, the blog stations are here. 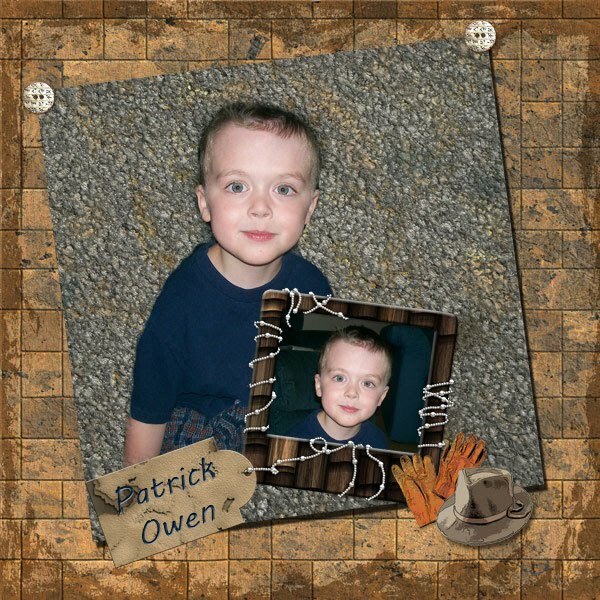 Want to mix n match your own layouts? Click here to see the range of mix n match kits on offer this month. 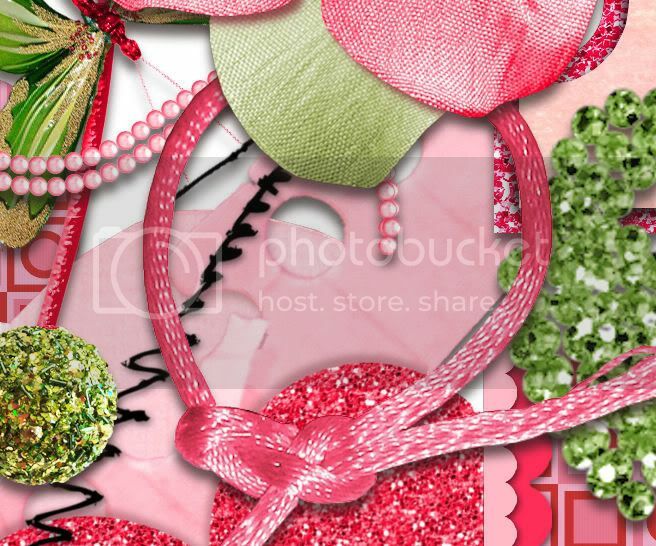 Oh did I mention the mix n match kits are only $1 each for February , hurry buy your kits today. 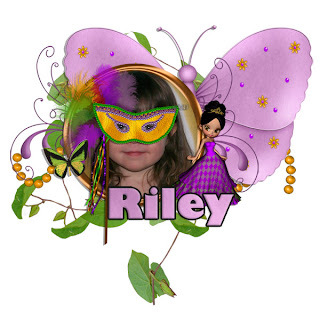 Puddicat Creations has a cool kit called Mardi Gras Party at Misses BeeHaven, you can get it here. 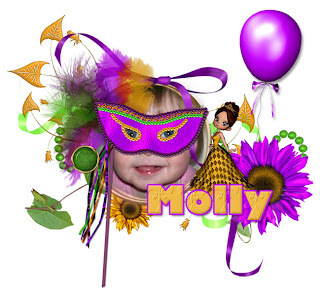 I had just a fun time making tags for Molly and Riley with it. It's a freebie offer like no other, not your normal freebie! Would you like a full size kit and grab bag valued at over $10? Join the Misses BeeHaven facebook group here, and help us reach 500 members. If we get 500 members by 28th February everyone in the MBH facebook group will receive the freebies. 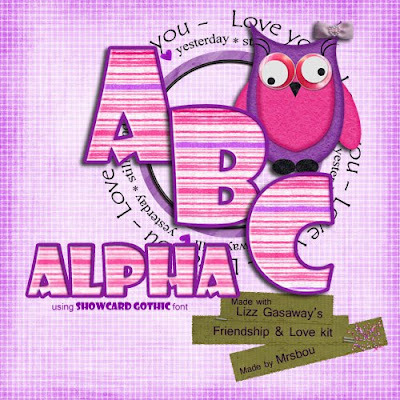 I made a free Alpha set to match Lizz Gasaway's kit Friendship and love. 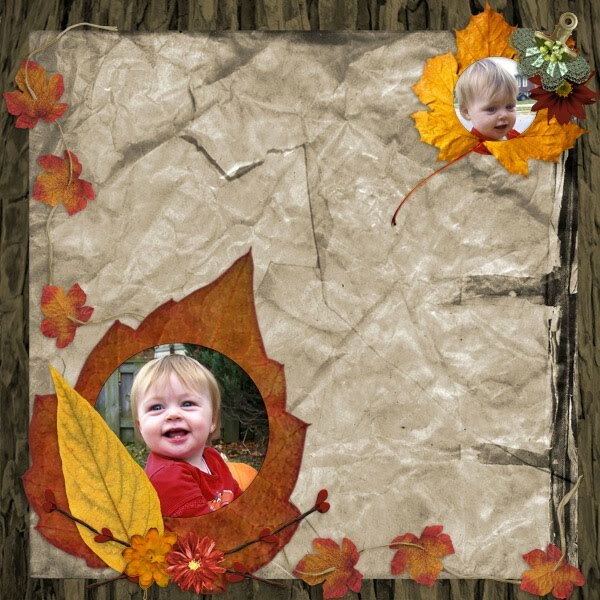 I seen Ice Princess Scrapz kit Autumn Whispers and it reminded me of a fun day we had back in October playing in the leaves. The other day Patrick was talking about what I had given him for snack at school that day and he called it "lame" He's only five and he already thinks things are lame. This time both my pages are about him. 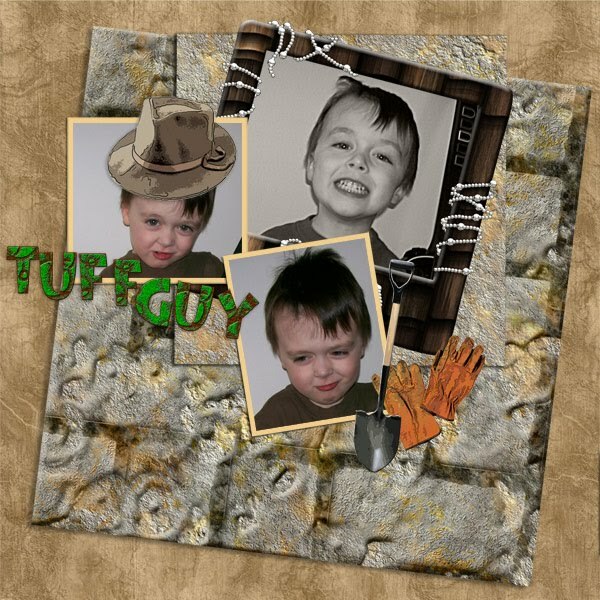 The first are pics of him acting all tuff and the second is my favourite picture of him. 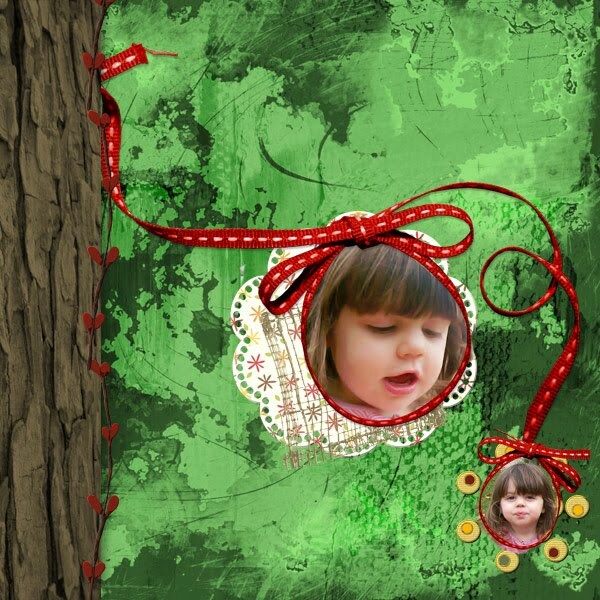 Both pages were done using a great kit by CarolineB, I love all the different textures she used for it. The kits called Archaeological Excavations and you can pick it up here at Misses Bee Haven. I just love this new kit! 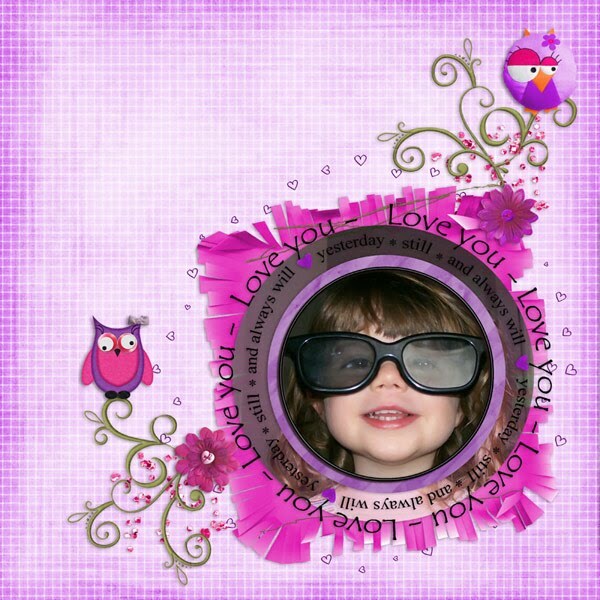 I'v been playing around with Lizz Gasaway's new kit Friendship & Love you can pick it up here. She has a full kit on right now for just $2.99 and a mini kit on for Free! Its a great kit and has lots of cute elements! 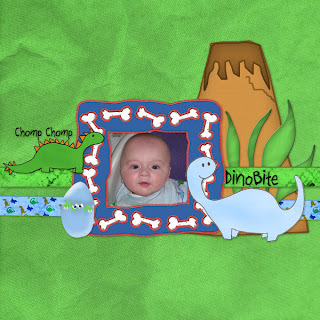 Here's what I did with it. 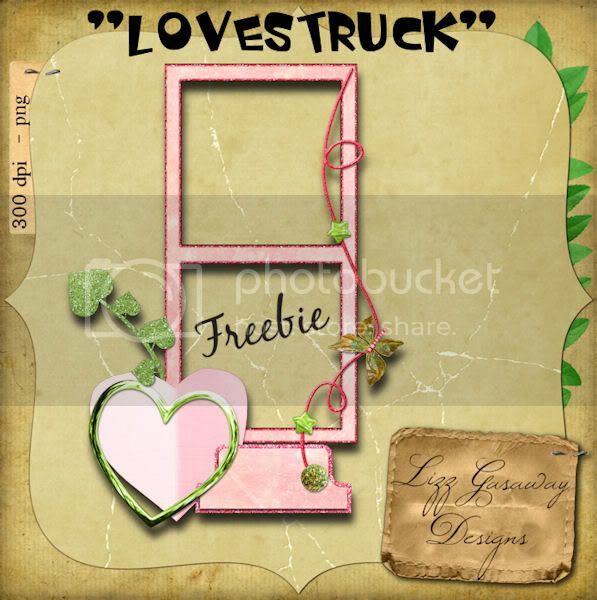 The Misess BeeHaven blog train "Garden of Love Friendship" has departed, and for my station stop I have this quick page freebie for you. 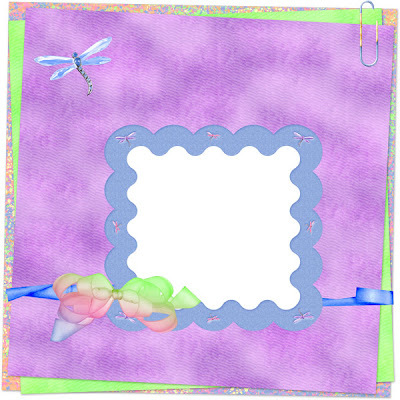 I have used my latest design from the new Mix n Match kits at Misses BeeHaven to make you this quick page. You have to check out these amazing mix n match kits, they are so versatile and are simple gorgeous. 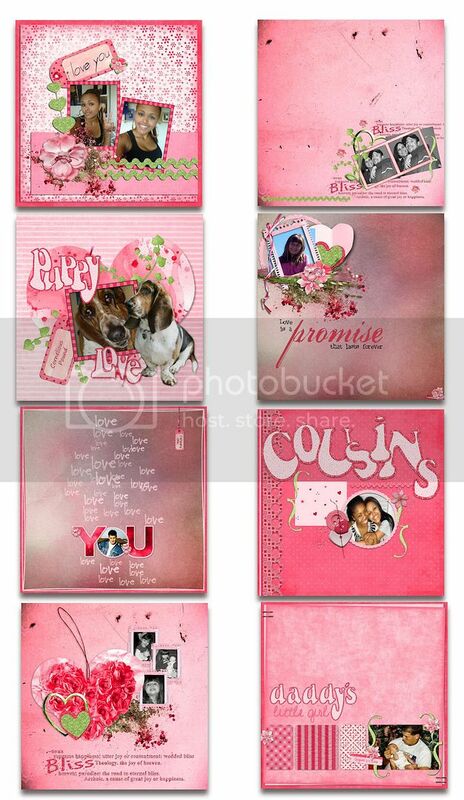 You could use the mix n match kits for more than just love or friendship layouts, they are bright, cute and playful. 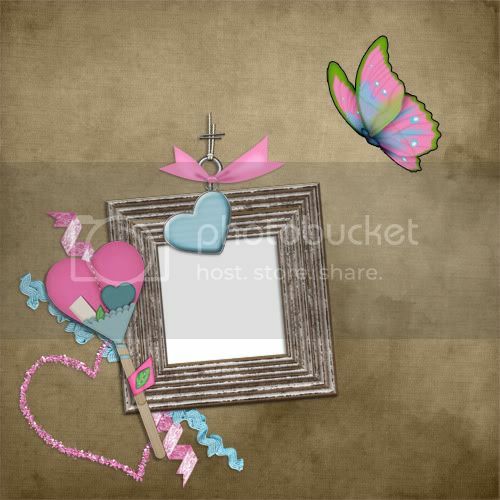 Credits- paper- Babycakes, frame- Lizz G, ribbon- Jtd, Scrapin Wright, heartpentent- Kats creations, heart- Bee haven, heartstick- Cathy cher,butterfly- Puddicat creationsStop by all the blogs to pick up all the wonderful freebies the team have waiting for you!! 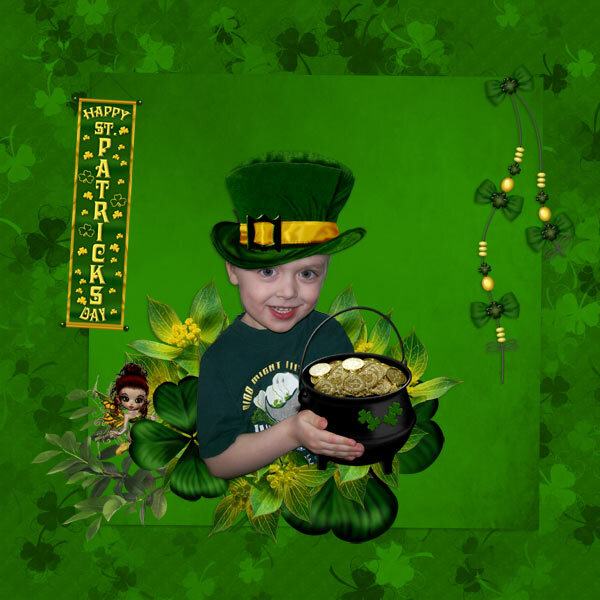 :) at all the stops on the Garden Love Friendship blog train! And don't forget to leave a word of thanks when you download. It's your words of thanks that encourage everyone to keep the freebies rolling on this train! Lizz is having an amazing sale! 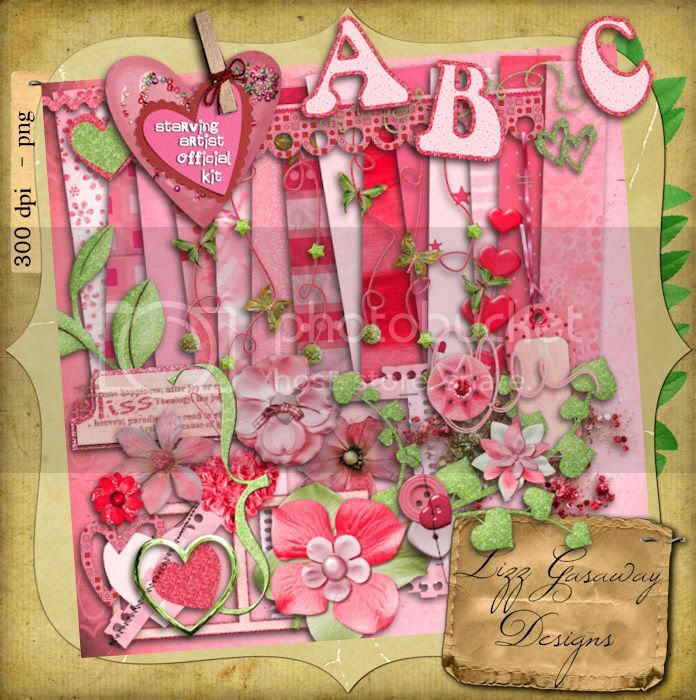 Lizz is also the featured Designer at Misses Bee Haven so all the rest of her kits are 40% off this! Ok well I miss any weather that's warmer than right now. But it was really fun working with Ariasparkle's kit Apple Cider and pretending it was nice and warm outside! Love Struck is now available! You can find her kit here. 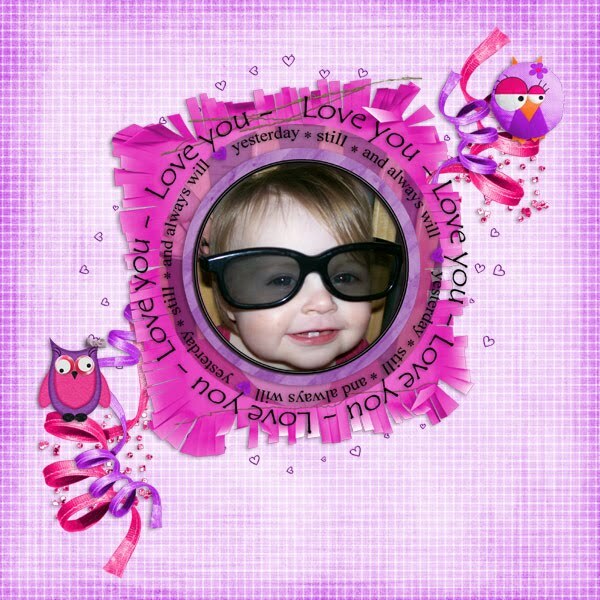 She also has a freebie for you so go to her blog to download it.